Bruce has been providing financial planning, investment advisory and tax planning services to clients for more than 30 years. He is a Certified Public Accountant (CPA), Personal Financial Specialist (PFS), and Registered Financial Consultant (RFC) and is deeply committed to helping baby boomers achieve financial independence. Often sandwiched between caring for aging parents and putting children through college, this generation often struggles to plan for their own retirement. Bruce assures his clients that it is manageable – with the right financial plan in place. Before joining Access Wealth, Bruce was the Chief Financial Officer for a large communications conglomerate, where he was responsible for acquisition, portfolio management, and retirement plan administration. His business accomplishments qualified him for membership in the American Association of Entrepreneurs and the Financial Executive Institute. He also received the Outstanding Service Education Award from the Foundation of Accounting Education twice. For several years, Bruce produced a semi-monthly radio broadcast — The Boomer Financial Radio Network — and published a semi-annual newsletter — Financial Advice for the Baby Boomer. He has been featured on ABC-TV and CBS radio and has been a guest lecturer for many organizations. Bruce is a member of the International Association of Registered Financial Consultants (IARFC), New Jersey Society of Certified Public Accountants (NJCPA), New York State Society of Certified Public Accountants (NYSSCPA), and American Institute for Certified Public Accountants. 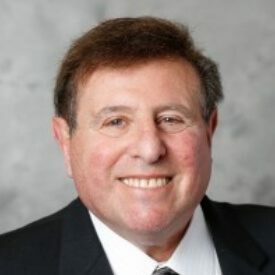 He is an active member and past chairman of the NYSSCPA’s Personal Financial Planning Committee, as well as a member of the NJSCPA’s Personal Financial Planning Committee. Bruce received his Bachelor of Science degree in Business Administration from Pace University.